"A program to make browsing the internet much simpler for people affected by blindness." 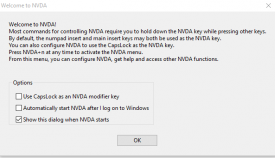 NVDA is a screen reader program developed by NV Access Limited on the download page of the website it states that it allows the world’s poorest blind people to be able to access computers and allows them a way out of poverty while this may be something of an over statement it’s a heartwarming idea, but how is the program itself? It’s very straight forward and easy to download and will be up and running in a couple of minutes. 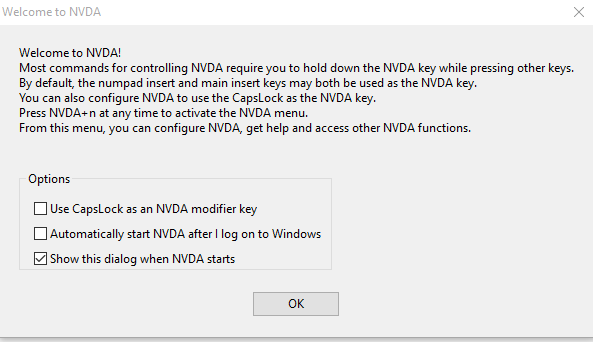 Once you have NVDA it will then read out the any text on the screen or any that you hover your mouse over. For example you can open and when you hover over the correct area it will say search so you know that you are in the right area to type your text, you can then type in whatever you are searching for and then when you move your mouse over the search results it will read them out for you, you can then click on hopefully the correct result and it will continue to read out any text on the page. It seems like a great idea and also one that could help a lot of people, of course if you are not able to see your screen you will need someone to help you download and install it on your computer but it can be very useful thereafter. The robotic voice can become a little annoying after a short time but for people that need it I suspect their patience would last a little longer, I really like the thinking and idea behind NVDA and the only real issue I had with it is once it is downloaded it’s very difficult to find where you can switch it off.